The day is grey. Grey, grey and more grey. Plus, it’s December. Naturally, this inspires me to begin a series about colour in the garden. What could be more apropos than to begin with yellow, the colour of that missing sunshine? When people, by whom I mean gardeners, declare they don’t like yellow, it always surprises me. Don’t like yellow? Yellow? What’s not to like? Like poor old Stella de Oro daylilies, the plant that gardeners love to hate, it seems to me that the colour gets all the blame for the sins of the gardener. We need a serious dose of sunshine, so I’m here to sing the praises of yellow. Think of it in all its variations, from the palest buff of fall grasses to the trumpet blasts of daffodils, from the bordering-on-greens to the tinged-with-reds. Yellow can be an accent or a complement. The blues of blue, f’rinstance, look just that much bluier when paired with yellow. It’s a simple law of physics. So let’s have no more of that I hate yellow stuff, gardeners. 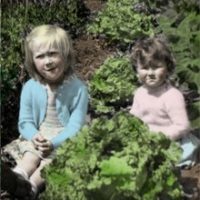 First, hate is an emotion that doesn’t belong in the garden. Second, it’s shockingly limiting to cut yourself off from the full colour palette that nature provides us. Don’t hate; be brave enough to embrace your inner yellow. Now, enjoy the pictures, and please come back to think colourful thoughts. What could be cheerier than that blast of yellow Forsythia in the bereft, early days of the year? Thanks, Mr. Forsyth (the 18th-century royal gardener, and co-founder of the RHS, whose name this shrub bears). 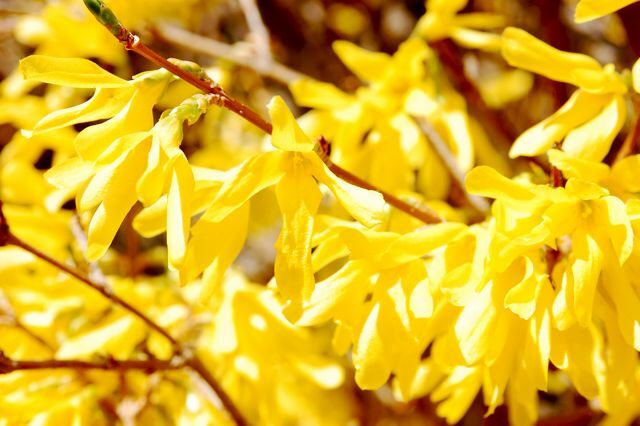 Available in a variety of yellows, there’s sure to be a forsythia that appeals to one’s delicate sensibilities – even if just in someone else’s garden. Some people object to the shade that my sister Sarah calls “eggy yellow.” Yet the sunnyside-up colours of Tulipa tarda are so welcome in the spring garden. 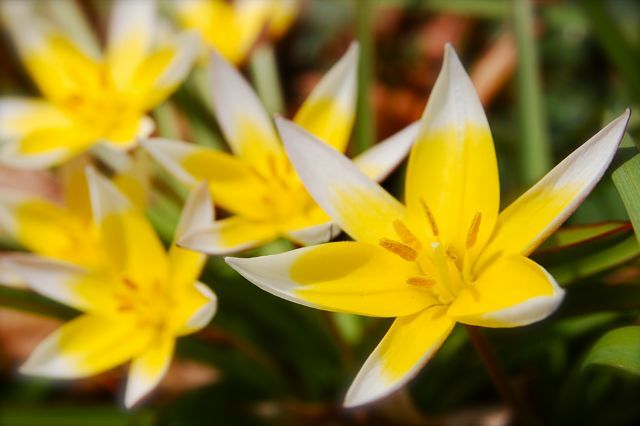 This is a low-growing species tulip that is fairly reliable about making repeat appearances year after year – unlike some of its puffed-up cultivar cousins. 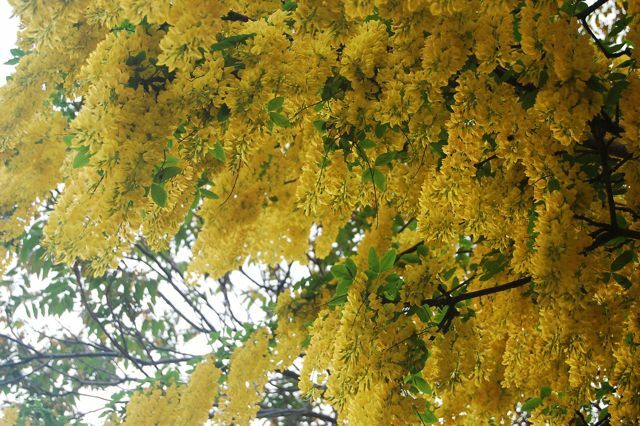 Laburnum or golden chain tree can be a dramatic sight in late May or early June. This showy member of the immense legume family is a distant cousin of peas and beans. But please don’t eat it – all parts of the laburnum are poisonous. Hosta ‘June’ is one of the loveliest of the bazillion hosta cultivars. 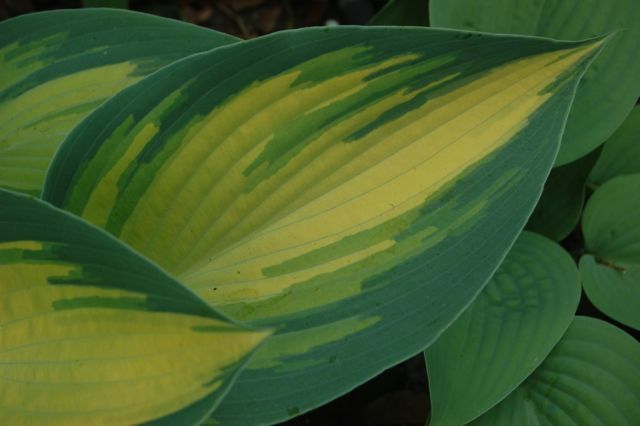 Its frosted leaves with striations of creamy yellow, green and blue make a bold accent in themselves, but also a great complement to other colours in the garden. To quote Sir William Lucas speaking to Mr Darcy: Who could object to such a partner? Ginkgo, ginkgo, ginkgo. No, I’m not doing a bad Cary Grant impression, I’m reminding myself how to spell the word. It’s gink-go, not, as it is usually pronounced, ging-ko. By the way, the fall leaves are fabulous. Yes, that’s the technical term. Yellow isn’t usually cited as an effective fall colour. It’s hard to believe when you see this. 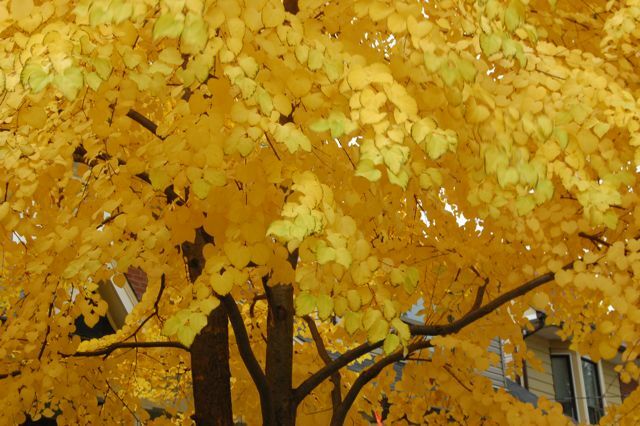 The katsura tree (Cercidipyllum japonicum) can not only give you smack-on-the-upside-of-the-head yellow fall foliage – it can, if you’re lucky, smell like candyfloss. Oh I so enjoyed this post. Stella is a grand grand gal…she preforms beautifully, a golden delight not so common now I don't think…and dependable. She needs a tidy up after first bloom, falling into ratty-ness, but then she shows new growth and continues her more modest display. That's sunshine!! You brought me forward to next year's summer. Thanks TG/Helen! Also, what could be cheerier than forsythia blooms in early spring? Forsythia blooms in a cold grey November drizzle. This I saw last week in a sheltered city backyard. Not quite the same as it's spring splendour but really quite full and lovely. Not to mention surprising and incredibly welcome. I like yellow! Especially those species tulips in the picture above! I planted some of those this fall! Such a cheery sight! 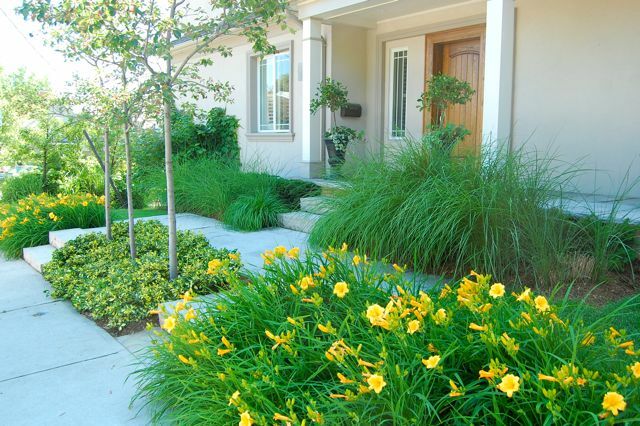 I used Hemerocallis Stella D'Oro in many of my projects but never took a liking to it. It's not quite yellow and far too gold-looking. Nevertheless, it worked its magic wherever it is planted. Now, I am experimenting with Hemerocallis Stella Supreme. It is pure yellow, delightful and much easier to love. 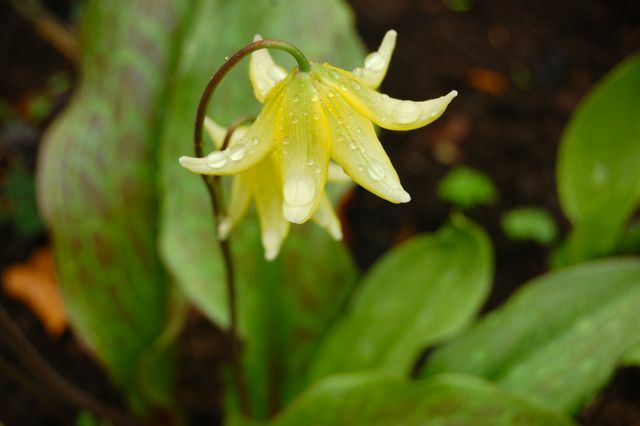 I love yellow in the garden and what a bleak day to see loads of happy yellow. Great photos. To call this post STUNNING would be quite right too! 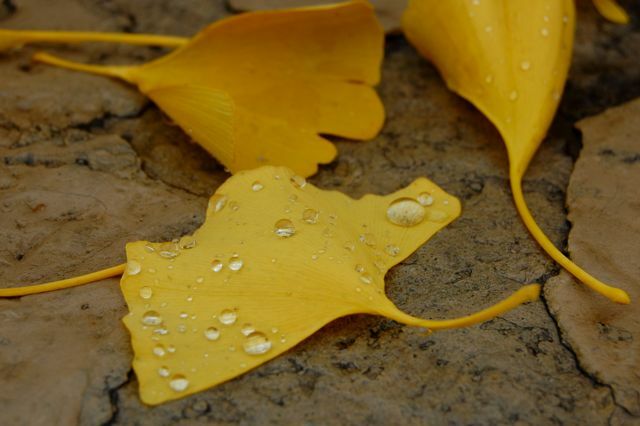 Beautiful photos of yellow blooms and leaves. I LOVE yellow…and this post made me smile and smile. My only lamentation is that the wind tears the foliage off my katsura before it gets properly yellow, and I dont' get the carmelized sugar scent because the foliage has all gone to another county–or continent–in the gales of November. Lovely post, Helen! I have to be careful using yellow. Most chartreuse plants look sunburned or chlorotic here. I've never warmed to yellow flowers. I suspect it's because most of the natives here are yellow, so seeing something pink or blue or purple or white is always the exception. There is nothing like a yellow flower to make a blue one pop, though. Life without yellow? Impossible to say the least..its one of the basic colour! Fantastic post about yellow, love all the flowers shown here! I like yellow fall colour and flowers but yellow foliage just doesn't do anything for me (with some exceptions – Hostas & Hakonechloa in particular). Stella is too orange/gold/yellow for me though, 'Happy Returns' is pretty similar but (in my opinion) a much more attractive lemon yellow. I didn't know anyone didn't like yellow. For me, it's the colour of spring and yellow puts a spring in my step when I see it after non-stop grey. I haven't seen a laburnum tree in ages (maybe they don't grow well here) but I love their over-the-topness. And forsythia is fantastic – as long as it has delicate rather than lumpy flowers. P,S I don't like pink. Hi, everyone — Thanks for your comments on ol' yeller! I'm unsure why people have such a thing against yellow (and orange; that's another one… more on that later) but you're right, Jackie, it is a form of garden snobbery. I have my favourite colours, and they may change from time to time, but I'd never prohibit any colours from the garden. Magenta is another story because it's a difficult colour to work with (but more on that later, too!). Hi Helen, a very persuasive post. 🙂 I particularly like the creamy yellows. Also, I have never seen a golden chain tree in *real life* and would swoon to see one. Katharine, The taller grass might be the early foliage of Miscanthus, before the flower stalks emerge. Faves: All hail the Amaryllis!